Since 1980, Bandai has sold 400 million plastic models of the mecha from its iconic Gundam franchise - three models for every person living in Japan. In 1979, Yoshiyuki Tomino's groundbreaking Mobile Suit Gundam anime first aired - and was initially a flop, running only 43 episodes instead of the 52 that were planned. 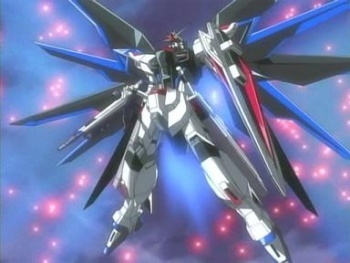 However, after the release of the first "gunpla" model (that is, Gundam plastic model) in 1980, interest in the series skyrocketed, and the Gundam franchise has since grown into one of the pillars of Japanese pop culture. Yesterday, it was announced that Bandai had sold 400 million gunpla since that first model thirty years ago. That's a really, really big number, in case you hadn't realized. In fact, given that there are only 127 million people living in Japan (roughly), that means that Bandai has sold 3.14 gunpla to every person in Japan since 1980. Of course, that's not exactly true, given that collectors tend to have much more than three models - and that people outside of Japan buy them, too. In fact, seeing as how I've got 16 or so on my desk right now and I'm living in North Carolina, I'm already skewing those figures by myself - whoops! 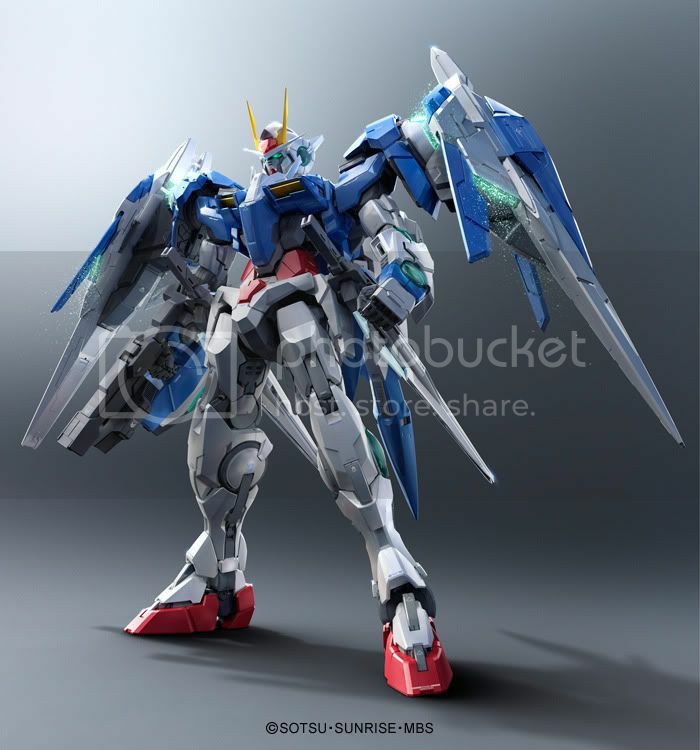 The figures have scaled exponentially in complexity, too - from the very first 1980 model of the original RX-78-2 Gundam to the latest Perfect Grade kit, the 00-Raiser from Gundam 00 - a kit which has 1031 pieces in total. Another fun fact: Even if we assumed that every single one of those models was of the smallish 1/144 scale (generally about 5in tall), if you laid them end to end they would be 31565 miles long assuming my math is correct - long enough to wrap around the Equator. That's a lot of tiny plastic robots. And they're all awesome.